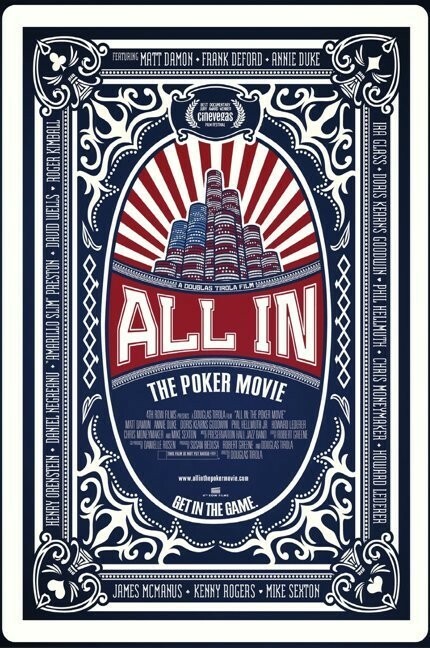 All In: The Poker Movie (highly recommended): This documentary is a winning and informative depiction of the evolution of poker and the culture it has created. 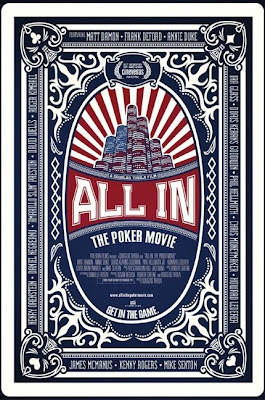 As a recent regular poker player, I heavily enjoyed it, but it think it will entertain a diversity of audiences. Highly recommended for all. Now playing at the Cinema Village. Read my review from yesterday. No, I haven’t seen The Hunger Games. I haven’t read the books either, so I’m not sure if it’s at the top of my list. 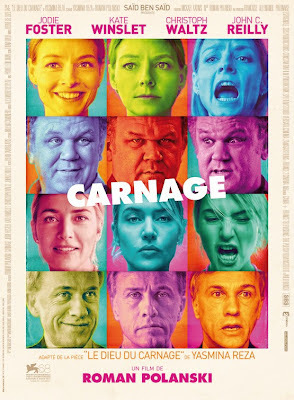 Carnage (recommended): This Roman Polanski-directed film is essentially a play captured on camera, which means that it’s fascinating for its content but unremarkable for its style. Jodie Foster, John C. Reilly, Kate Winslet, and Christoph Waltz all deliver memorable performances, acting out a clever and entertaining script. The Girl with the Dragon Tattoo (recommended): This David Fincher-directed remake isn’t as good as the Swedish original, but were it not for the existence of the other, this might be much more impressive. Rooney Mara is a fantastic Lisbeth Salander, and it’s still plenty thrilling and unsettling. Tinker, Tailor, Soldier, Spy (recommended): This moody thriller earned three well-deserved Oscar nominations, and showcases an astonishing performance from Gary Oldman, as well as strong turns from so many great British actors in the ensemble. It may slow down in the middle, but for any spy fans, it’s a must-see. I imagine I’ll soon see The Muppets now that it’s out since my roommate Josh absolutely loves it. New York, I Love You (mixed bag): This English-language follow-up to “Paris, Je T’aime” isn’t nearly as charming, and with the exception of a strong scene or two, it’s rather overdone and forced. It’s a decent date movie with a few romantic vignettes, but nothing more. They’re not technically films, but it’s worth nothing that the fabulous Dr. Horrible’s Sing-Along Blog and a bunch of TED Talks have been added to Netflix’s offerings.